Shanowen Square student accommodation is advertising twin and double bedrooms for the upcoming academic year and has lowered the price from last year. Current rates for the 2019/2020 academic year advertised on the Shanowen Square website range from €189 per person for a twin room to €250 for a double bedroom for single occupancy. 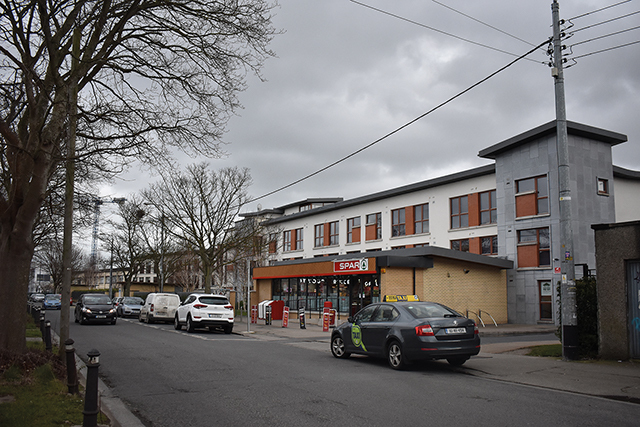 “More beds being available is a step in the right direction, however, the prices are still just as extortionate,” said DCUSU VP for Welfare and Equality Aisling Fagan. “From weekly rates between €189-€250, this is still completely out of price range for students. We will be continuing to put pressure on the Government to implement rent caps for purpose-built student accommodation as this is just not good enough,” she continued. It is unclear how many twin and double-bed rooms will be added to the complex or how this will be achieved. Shanowen Square did not reply to requests for comment in time for publication. This appears to be the first time in recent years the student accommodation complex is publicly offering twin and double bedrooms instead of the standard single ensuite. A double bed ensuite costs €9,250 for the academic year while the single ensuite costs €8,325. A non-refundable security deposit of €400 is currently required to book a room with Shanowen Square. Applications for next year opened on March 11th and are still open as of publication. Protests were held last year after Shanowen increased their yearly price for a single room by 27 per cent from the previous academic year. A petition received over 19,000 signatures in support of lowering student accommodation prices. However, the price of around €9,000 for the 2018/2019 year remained in the complex. Third-year biotechnology student Daniel Cox is currently living in Shanowen Square but will not be booking a place again for next year. “I’m not applying because it’s simply not worth paying for,” said Cox. “When you look at other student accommodations that are similarly priced, they have good facilities, nicer interiors, and games rooms that foster community. Meanwhile, Shanowen has basic facilities. “Its community is non-existent. And its washing machines break all the time,” said Cox. Shanowen Square also advertises rooms in Gateway Student Accommodation in Ballymun priced at €205 a week. Rates for DCU Hampstead on-campus accommodation for the 2019/2020 academic year are priced at approximately €670 a month for a single room.